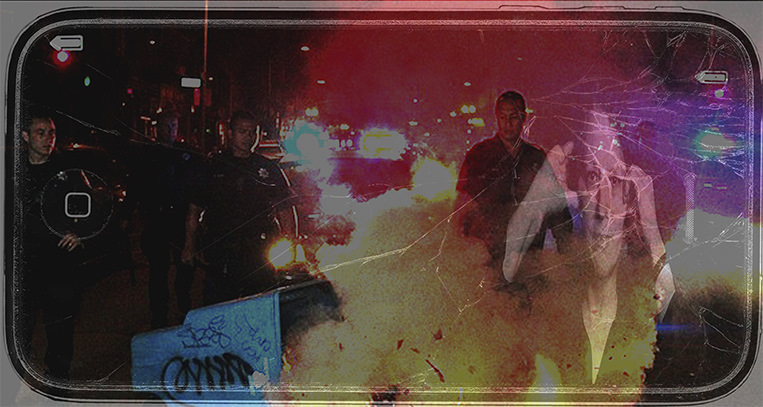 This series features a collection of aestheticized images found on the Internet of the most vile human rights crimes, from the killing of Trayvon Martin to incidents in Syria, and reveals the global seduction of representations of violence. 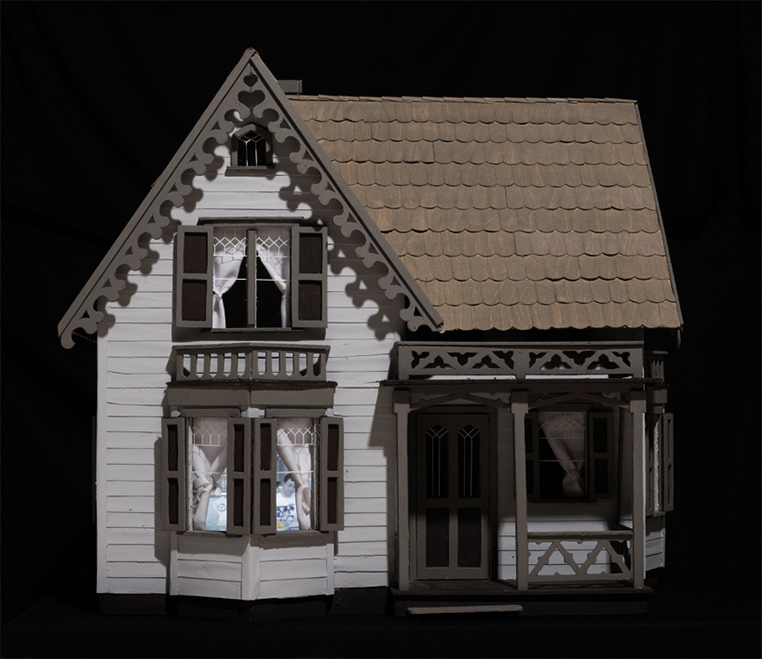 In Home Front, footage of a married couple is incorporated into a Gothic style dollhouse. Visible only through the window, a 33-minute unedited sequence shows the dissolution of an idyllic domestic scene into a disturbing and violent fight. Another window of the dollhouse features a 26-minute loop of footage of the couple recounting the events, each giving subjective, conflicting interpretations of their dispute. Past Tense features the projection of a series of photographs culled from the online image-sharing platform Flickr of different forms of destruction, obsolescence, demolition, and extinction. 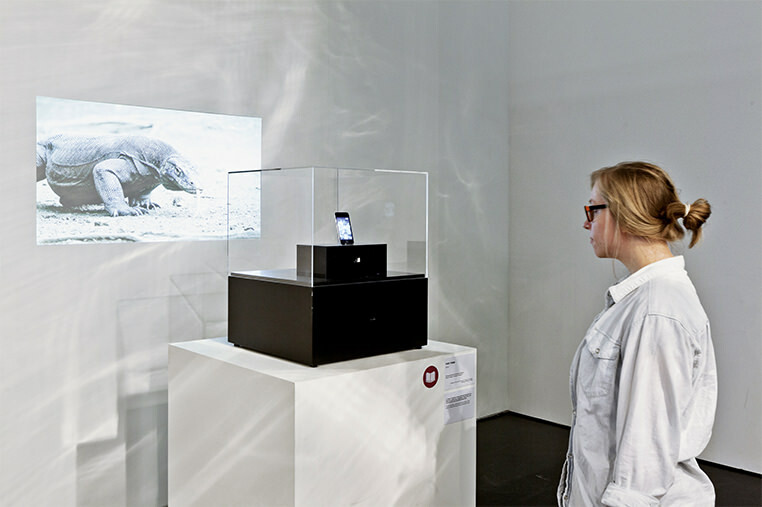 Based on searching the database for photographs tagged with the term “endangered,” the feed was regularly updated during the work’s exhibition. An iPhone installed on a nearby pedestal surreptitiously photographs viewers and then integrates the snapshots into the image stream alongside the projected images sourced from Flickr, instigating the idea that the viewer’s time is also fragile and endangered. 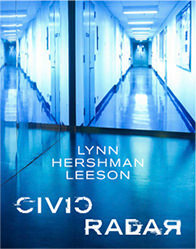 Lynn Hershman Leeson’s VertiGhost is inspired by and reinterprets Alfred Hitchcock’s film Vertigo (1958), key scenes for which were shot at the Legion of Honor. 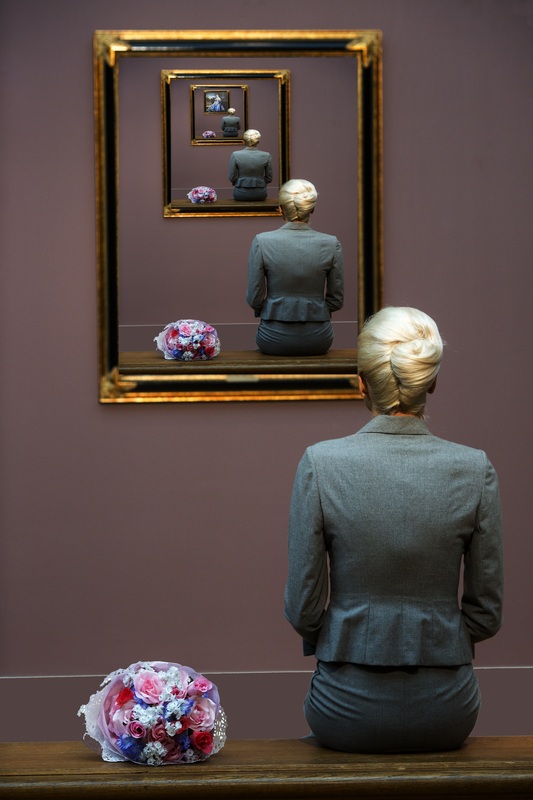 A multi-part installation about identity and authenticity, VertiGhost explores the tension between the difficulty or lack of desire to distinguish between reality and fiction versus the pursuit of truth. The film at the core of VertiGhost features the re-creation of select scenes from Vertigo, documentation of a painting by Amedeo Modigliani in the Museums’ collection that was enshrouded by questions of authenticity, as well as interviews about the construction of realities in life and art. The project also consists of an installation at both museum buildings and a live web component that incorporates live footage of viewers from the Legion of Honor by digitally inserting and implicating them into the narrative.